It’s a well-known story that George Lucas’ original treatment for Star Wars was much larger than the single film that was released in 1977. Lucas had created a much larger world very early on, but ended up making significant changes to it at the beginning since he wasn’t sure any other movies would ever be made. Now, a very early employee of Lucasfilm has revealed some of the original plans for Star Wars as a whole. 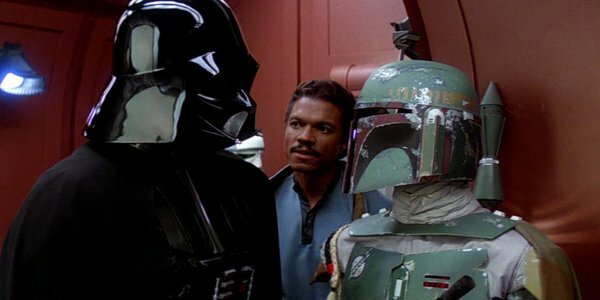 It turns out Boba Fett was going to be a much bigger character in Star Wars: The Return of the Jedi because Lucas was originally going to hold off on the Darth Vader/Luke Skywalker confrontation for an entire additional trilogy, but when he changed his mind, Fett went into the Sarlacc Pit. The revelation comes courtesy of Craig Miller, the first fan relations officer at Lucasfilm. In an interview with Inverse, Miller says that originally, George Lucas was planning to make as many as 12 Star Wars films, then that was shrunk to nine. However, Miller says that somewhere during Empire Lucas changed his mind about the scope of the whole thing, and thus the entire follow-up trilogy got scrapped. When that happened, Boba Fett was no longer needed, and thus he was taken out. When George decided not to make the third trilogy, he completely jettisoned that story line, which is why in the first ten minutes, Boba Fett gets bumped into and falls into the mouth of a giant monster. Sorry Boba Fett, your work here is no longer required. In George Lucas' original vision, Darth Vader, Luke Skywalker, and the Emperor would not meet until the end of the second trilogy. In this structure, the entire movie following Star Wars: The Empire Strikes Back was going to deal with the attempts to rescue Han Solo from Boba Fett, thus the bounty hunter would actually be the main villain of the piece. While the bounty hunter was unceremoniously removed from the story, that didn’t stop him from becoming quite popular. He was so popular that the extended universe novels even had him crawling out of the Sarlacc Pit so that he could continue to exist. His father was also a key character in the Star Wars prequels, which didn’t go nearly as far to remedy the death of Boba Fett as was probably intended. If Star Wars were made today you can be sure the studio would love the plan to make a nine movie series. Exactly what those movies would look like, however, will be one of those questions that will never truly be answered. Instead, we’re left with the story as it is, and one well-digested bounty hunter.